Issues spawned by the headlong pace of developments in science and technology fill the courts. How should we deal with frozen embryos and leaky implants, dangerous chemicals, DNA fingerprints, and genetically engineered animals? The realm of the law, to which beleaguered people look for answers, is sometimes at a loss—constrained by its own assumptions and practices, Sheila Jasanoff suggests. This book exposes American law’s long-standing involvement in constructing, propagating, and perpetuating a variety of myths about science and technology. Science at the Bar is the first book to examine in detail how two powerful American institutions—both seekers after truth—interact with each other. 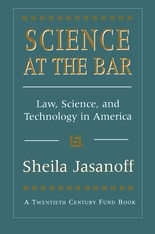 Looking at cases involving product liability, medical malpractice, toxic torts, genetic engineering, and life and death, Jasanoff argues that the courts do not simply depend on scientific findings for guidance—they actually influence the production of science and technology at many different levels. Research is conducted and interpreted to answer legal questions. Experts are selected to be credible on the witness stand. Products are redesigned to reduce the risk of lawsuits. At the same time the courts emerge here as democratizing agents in disputes over the control and deployment of new technologies, advancing and sustaining a public dialogue about the limits of expertise. 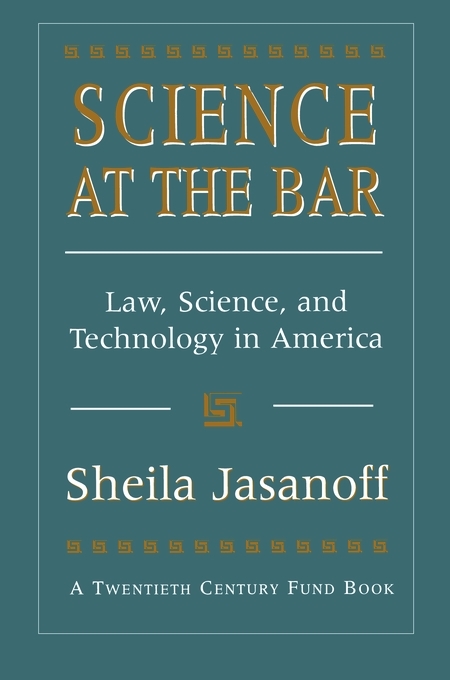 Jasanoff shows how positivistic views of science and the law often prevent courts from realizing their full potential as centers for a progressive critique of science and technology. With its lucid analysis of both scientific and legal modes of reasoning, and its recommendations for scholars and policymakers, this book will be an indispensable resource for anyone who hopes to understand the changing configurations of science, technology, and the law in our litigious society.